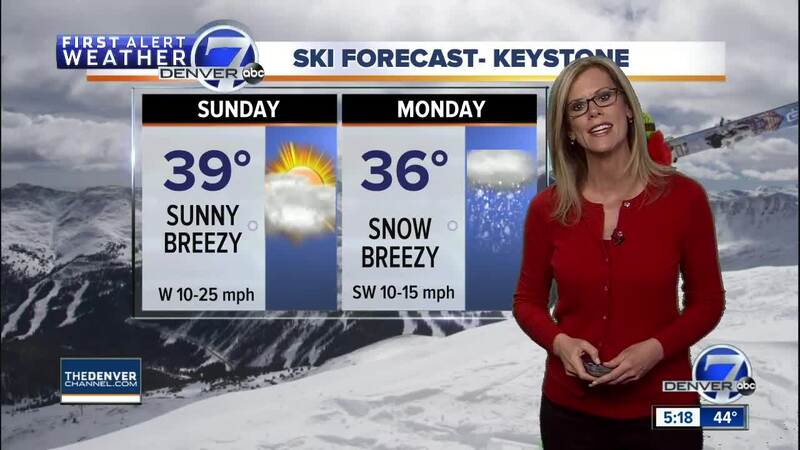 DENVER — Saturday was sunny and mild with highs in the 40s to low 50s for lower elevations and in the upper 20s to mid-30s in the mountains. Tonight, lows will cool to the upper 20s over the Denver metro-area. Sunday, clouds increase through the day ahead of the next storm system. Tomorrow will be dry, aside from a few mountain snow-showers. Highs will be in the 50s for Denver and the eastern plains, with 30s in the mountains.